THIS INCREASES THE ENTITY LIMIT AND AVOIDS THE ERROR "ED_ALLOC: NO FREE EDICTS"
Hello again all you fantastic people. 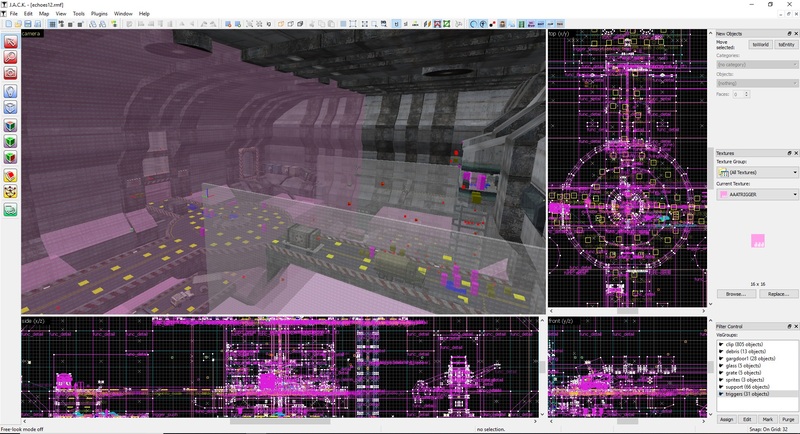 I have had many requests to see the source maps for Half-Life: Echoes - and so your early Christmas wish is granted! The link describes what is contained, but a quick heads-up - this is intended for people who understand and are interested in mapping. My mapping style is quite messy... I hope that those of you who are interested get what you are looking for! Featuring : luscious outdoor arenas! Take care all of you, and have a great Christmas! A massive thank you to everyone who played and enjoyed my mod. Half-Life: Echoes has been released! Playtesting is complete. A release is imminent. Come check out the trailer! A complete version of Echoes is being play-tested for final bug testing and polish. I will be releasing soon. 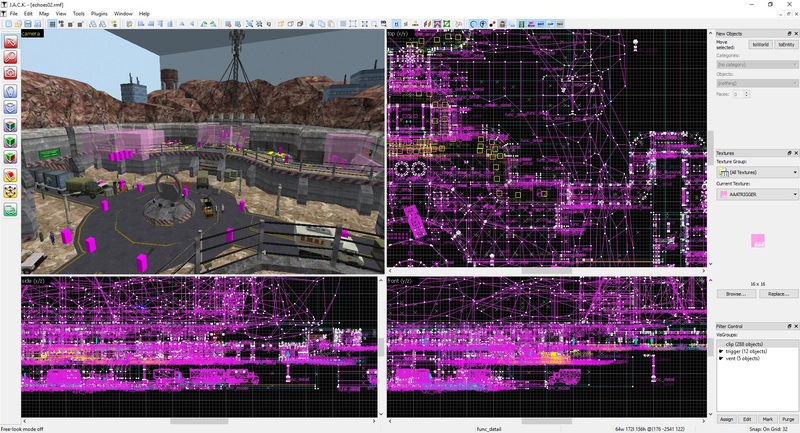 Half-Life: Echoes - Version 1.3 - Source map files. Half-Life: Echoes .zip file - Version 1.3 - Requires Windows and the Steam version of Half-Life. This will not be compatible with old saves. Half-Life: Echoes .exe file - Version 1.3 - Requires Windows and the Steam version of Half-Life. This will not be compatible with old saves. Bugfixed Half-Life Echoes version for Windows, Linux and OS X. Compatible with GoldSource and Xash3D FWGS. 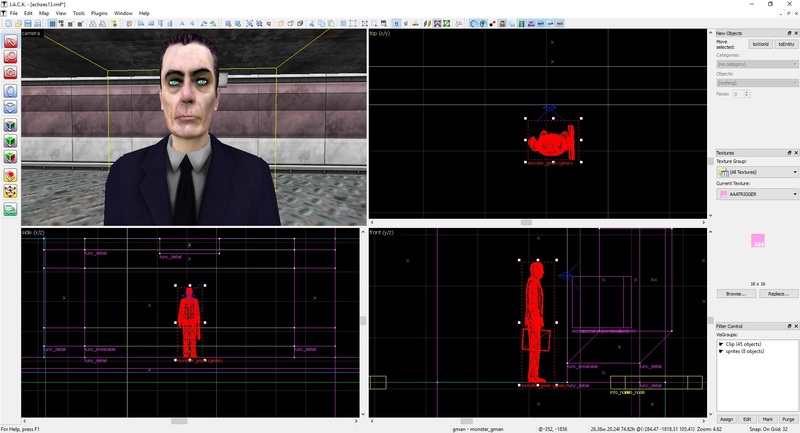 Half-Life: Echoes .exe file - Version 1.2 - Requires Windows and the Steam version of Half-Life. This will not be compatible with old saves. Half-Life: Echoes .zip file - Version 1.2 - Requires Windows and the Steam version of Half-Life. This will not be compatible with old saves. Since 2018 i didn't had the correct version of Half-Life to play all the mod so it crash in some palces and later the textures suddently was missing, but at the end all this have changed when i download the steam version of HL and redownload echoes. From about 2 days i finish the mod and i gotta say couldn't expect it to be this good, many thing have surpsided me, voices form HL2 & Black Mesa, Alex-Mossman-Gman and others's models from the source engine ported to the gold engine, opfor ally grunts & otis, different zombie models, rewrite the weapons codes, the tripmine's red laser instead of blue, large areas like the game is actually running on the source engine, HL2 barnacle, making the npcs much alive and real by their animations moves and the words of lines they say, the Kingpin, t-the "mr. friendly" thing th-tha-that i-i personaly d-d-don't like it s-s-sorry, the combine presence, baby Alyx and many other things. I know you have a knowledge of the Half-Life universe better than me but one thing i felt it out of place. The marines didn't had this much trouble with the aliens until the next day of the incident from what i know, in the mod they only have just arrived and yet the aliens have crash them from the start. I don't know if this is correct or not but anyway it is your own mod, your own story so i can't argue with that and you did a real awesome job showing how the military have a hard time with the invasion just like Black Mesa did. The only thing, or the most thing, i didn't like is the "horror", please listen to the end, i ususaly hate horror games and never see Half-life as horror either, i understand that horror is important to a Half-Life game and your mod needed this so i respect it and admit the horror was a part cannot be throw away from "Echoes",without it the mod won't be this good. It was very good. At the end, i like to say now i see why this was "mod of the year 2018" after playing it all. Keep moving forward and maybe one day your son can play this mod to see what his father was able to do. Good luck you have my support from Lebanon. Cannot run it on Xash3D engine !!! «Host_InitError: Can't initialize Client.dll» ! Oops! There is crossplatform patch available. I didn't see it before. It solves the problem. So, nevermind ! This still uses the goldsrc engine! I only used replacement models, if you check the readme and credits text files they have a list of all the models I used and where to get them. The models I use have specific animations not present in the original low def models, and I felt the higher detail faces and animations were integral to what I wanted to convey. Can you tell me the error message? Oh sorry this comment is old i figured out i just needed to use the .exe version i was using the .zip version but since you want to know it had no error message it just crashed but the .exe version worked thanks anyway though.